It’s official. With the ongoing I-90 overpass construction in Three Forks, the Headwaters Half Iron is being relocated from Three Forks to Bozeman. This fun and challenging new venue features 3 laps around the East Gallatin Recreation Area pond, an out-and-back ride on Bridger Canyon Road (State Route 86) with plenty of steep climbs, and a two-loop run along the Cherry Creek trails, Manley Road, McIllhattan Road, Story Mill Road, and East Gallatin Recreation Area trails. Packet pick-up will be at 5:30 PM, Saturday evening at the East Gallatin Recreation Area. Show your appreciation. Take your turn. 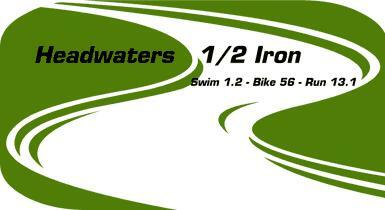 Volunteer to support your fellow triathletes racing at the Headwaters Half Iron. Tony Brendgard is the race director again this year, but the Tritons will be taking over this race and the Treasure State Triathlon next year. This is a great opportunity for non-racing Tritons to give back to our local triathlon community, support our local race and set the stage for the Tritons next year. Just recall how much you appreciate the volunteers when you are racing! Full and partial race day volunteer assignments are available. To volunteer, please contact Laurie Thatcher at laurie.thatcher@gmail.com or 580-9160.